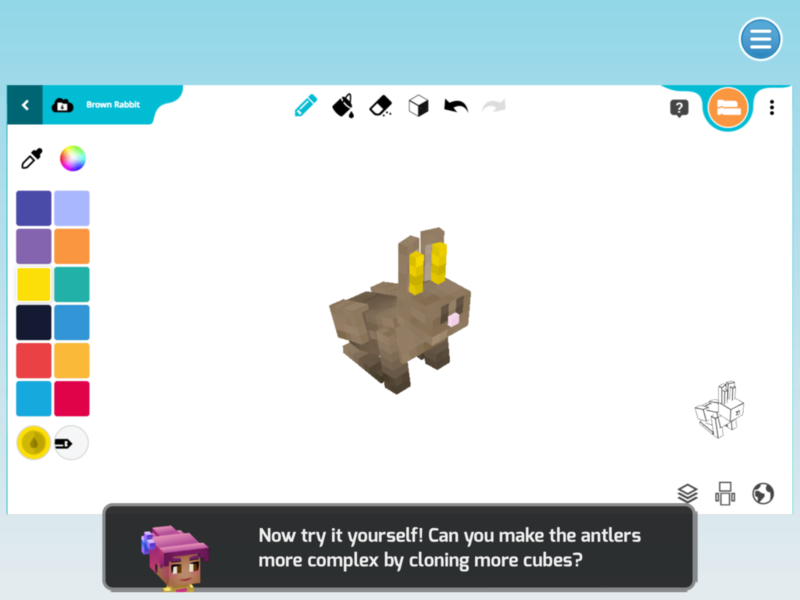 With Tynker’s new Minecraft Editor, anyone can make an Add-On in minutes. To make things really simple, we’ve come up with a new drag-and-drop visual language just for changing mob behaviors! Check out our 10 Add-On Tutorials for some great starting points and get creative! Minecraft Add-Ons, like Minecraft mods, allow you to customize your Minecraft mobs by changing their behaviors and properties. 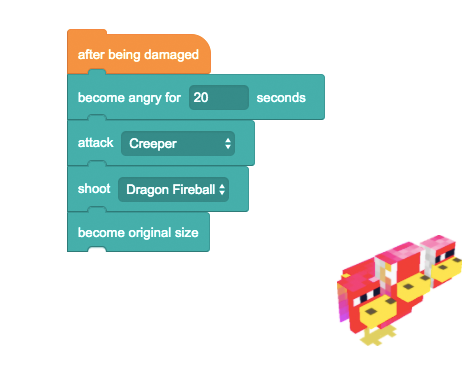 Do you want a 100-foot chicken that spits fireballs at creepers? You can create it. Need a balloon bouquet of rainbow colored pigs? You can do that, too! Every mob is made up of a set of rectangular blocks called a model. Use Tynker’s new model tool lets you change the model however you’d like! 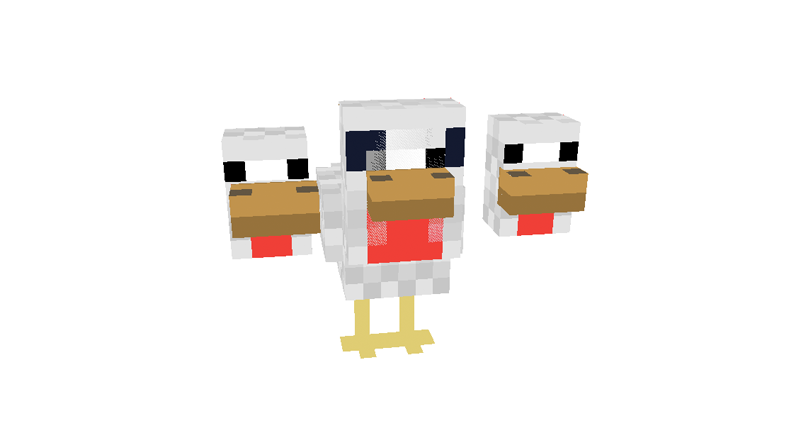 Select any rectangular block and make a copy – to make a 3-headed chicken, for example, simply copy the head twice by dragging it around. You can even rotate or enlarge blocks. Using this method, you can transform a cow to a dinosaur, or turn a wither into your own special alien robot. When you are done changing the model, use the pencil and brush tools in the palette to color your mob. Select a size for your brush and use Colorize, Gradient, or Scatter options to create different effects. For example, we’ve used the gradient and scatter effects to paint the skin of this 3-headed chicken. Use Freehand mode to paint invisible pixels and even color outside the model. Remember to save often so that you don’t lose your work! 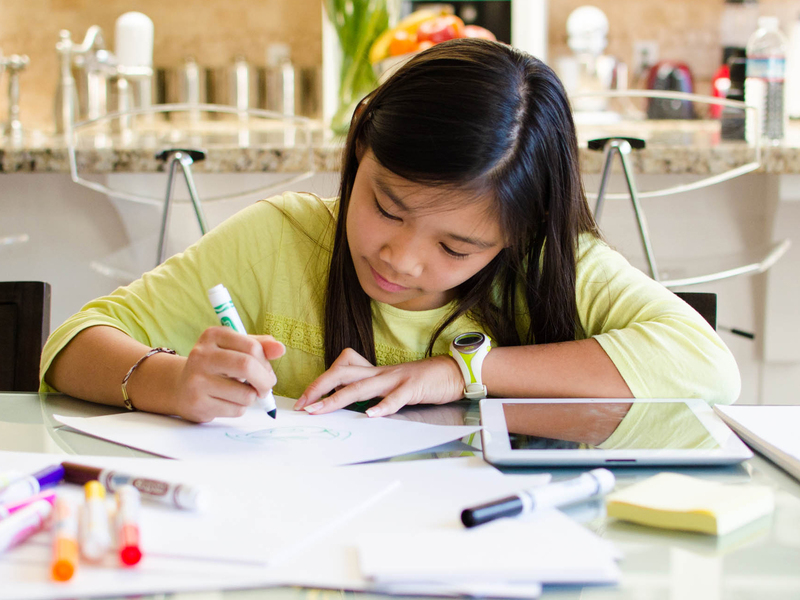 There are two ways to get your Add-On onto your phone or tablet. Method 1 is great if you’d like to access all your Add-Ons once you sign into Minecraft Pocket Edition on your mobile device, whereas Method 2 is great for quickly sharing a single Add-On. 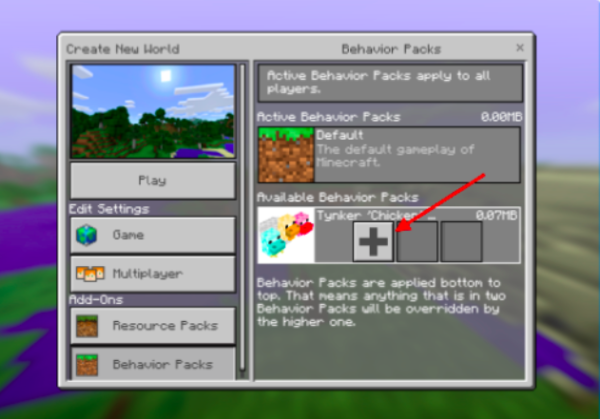 In all newer versions of Minecraft (Windows 10, Pocket Edition), find the Add-On section under “Settings” in each of your worlds. 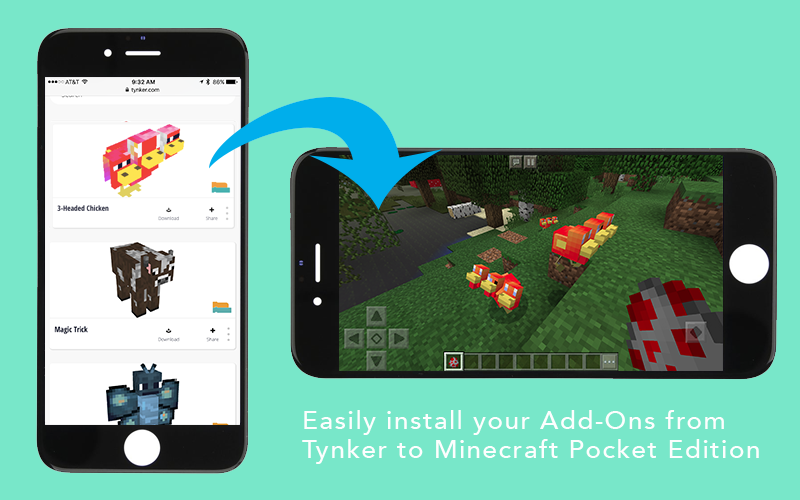 Publish and share your Add-Ons to the Tynker Community! There are thousands of fun Add-Ons already created by players like you. You can remix or download any of these public Add-Ons in your Minecraft. Start creating your own!